When your garage doors aren’t working properly, you may be fed up trying to work around the issues. If you are struggling to determine whether you require garage door repair or installation services, there are a few questions you can ask yourself to determine the best course of action. Does My Garage Door Open and Close Properly? While this may seem like a simple question, it’s an important one. If you are experiencing issues during routine use of your garage doors, then garage door repair/installation may be on your mind. It’s important to troubleshoot the issue and schedule services that will achieve the best results. Do I Have Problems With My Garage Door Equipment? Is your garage door opener on the fritz, or does your garage door stop and start on the way up or down? Having equipment problems is a cause for concern and shouldn’t be ignored. While a simple repair may fix the problem, sometimes new installation may provide better long-term results. Would My Home Benefit From a Better Fitting Garage Door? Garage door repair/installation decisions can often come from determining whether your home would simply benefit from a better door. If your garage door is ill-fitting, worn out, or otherwise doesn’t provide the services you need, then you may find that repairs won’t provide all of the solutions you require. 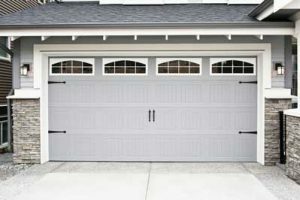 Do My Garage Doors Provide Adequate Security? If your garage door is not keeping your home, family, and belongings secure, then the question of garage door repair/installation is a no-brainer. All you need to do is give us a call at Kempenfelt Overhead Doors, and we’ll make sure you have a new garage door that is well-equipped to provide the security you need. Contact us at Kempenfelt Overhead Doors today for more information about our garage door repair/installation services for your home or business.